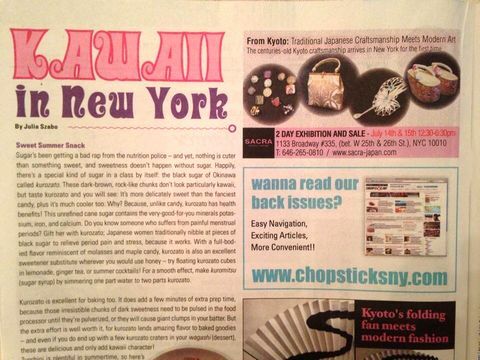 New York exhibition of SACRA to be held at Gallery of Broadway on the July 14th, 15th, has been introduced in Chopsticks NY. 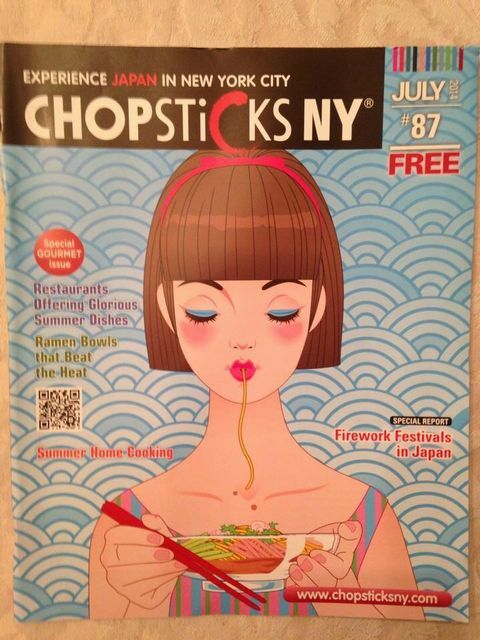 Monthly CHOPSTiCKS NY is guide to everything Japanese Culcure, Food, Event, etc. We will introduce kimono goods, the Sandals by collaboration with young artists TAISUKE KINUGASA, the Party bag that was produced by using the Kyoto Nishijin obi material and braid technique that existed more than 1500 years ago. 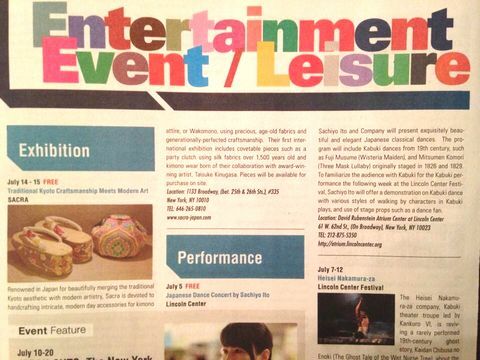 Please expect SACRA exhibition in New York ! !